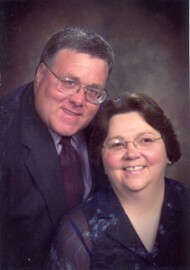 Pastor Art Zacher has been at Berean Baptist Church since August 2, 1999, proclaiming the Word of God. God has burdened my heart for people who need to seek His face and be saved. My desire is to serve Jesus Christ by serving you. I would like to extend a warm invitation to you to come and share our fellowship in Jesus Christ. I look forward to meeting you personally and having an opportunity to get acquainted with you. If I can be of any service, please contact me. The Bible is the Word of God and without error. In the Blood Atonement: Christ shed His blood on the cross to pay for our sins. Salvation is based on faith in Jesus Christ. In the everlasting punishment of the lost in the Lake of Fire, and the Eternal Blessedness of the saved in Heaven. Jesus said in Matthew 25:35-36 "For I was hungry and ye gave me meat: I was thirsty and ye gave me drink: I was a stranger, and ye took me in. Naked, and ye clothed me. I was sick, and ye visited me in prison and ye came to me." We take the Lord's command to help others seriously. Children's Ministry: Children are special at Berean Baptist Church. We offer several programs and activities. Teen and youth activities: We provide opportunities for participation in plays, camps, Vacation Bible school, and other avenues of ministry and service to our community. Visitation: We provide visitation to hospitals, shut-In's, jail, door to door soul winning and flier and tract distributions.